She's hit the headlines again this week, but do you remember her making the news in Wakefield back in 2010. As Lady Gaga hits the news again this week we've dug out this gem from when she visited Wakefield. In 2010 the multi-million selling pop diva prepared for a triple-winning appearance at the Brit Awards - by having a Valentine's breakfast in a barn on a farm in Crofton. The Poker Face singer decided she needed to spend a romantic morning with a mystery friend, in a barn. Gaga had been rehearsing her Monster Ball tour at Litestructures Studios in South Kirkby and after a discreet phone call to Lark Dale Farm, on Hare Park Lane, and farmer Howard Baines, the secret Sunday morning meet was on. Mr Baines said at the time: "A friend of mine rang from where she was rehearsing and said she had a rather strange request. "This was a fairly unique thing to happen - this is just a regular working farm." Gaga arrived in a blacked-out people carrier and went into the barn, which had been decked out with extra hay, to add to the Valentine's mood. Mr Baines said: "She was not dressed in what I would go to work in, black knee boots, leather jacket and sunglasses." And it looks like the morning Crofton air helped Gaga prepare for her appearance at the 2010 Brit Awards where she picked up three gongs. 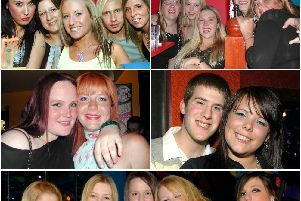 Mr Baines added: "It was just a favour for a friend. I never charged her. I respected both my friend's and Lady Gaga's privacy. "I did say to a couple of friends in the village 'do you know Lady Gaga was in my barn this morning? And they said 'oh yeah, right. "I was just helping out." This week the New Yorker took to Twitter to respond to tabloid rumours that she's expecting, telling her followers that the only major life event they can expect from her is the release of her forthcoming sixth album.